The book examines sonic signals as something both heard internally and externally, through imagination, memory and direct response. In doing so it explores how the mind 'makes' sound through experience, as it interprets codes on the written page, and creates an internal leitmotif that then interacts with new sounds made through an aural partnership with the external world, chosen and involuntary exposure to music and sound messages, both friendly and antagonistic to the identity of the self. It creates It an argument for sound as an underlying force that links us to the world we inhabit, an essential part of being in the same primal sense as the calls of birds and other inhabitants of a shared earth. Street argues that sound as a poetic force is part of who we are, linked to our visualisation and sense of the world, as idea and presence within us. 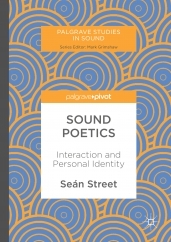 This incredibly interdisciplinary book will be of great interest to scholars of radio, sound, media and literature as well as philosophy and psychology.